They started on with some Pokemon and some My Little Pony watching. There was lego creating. 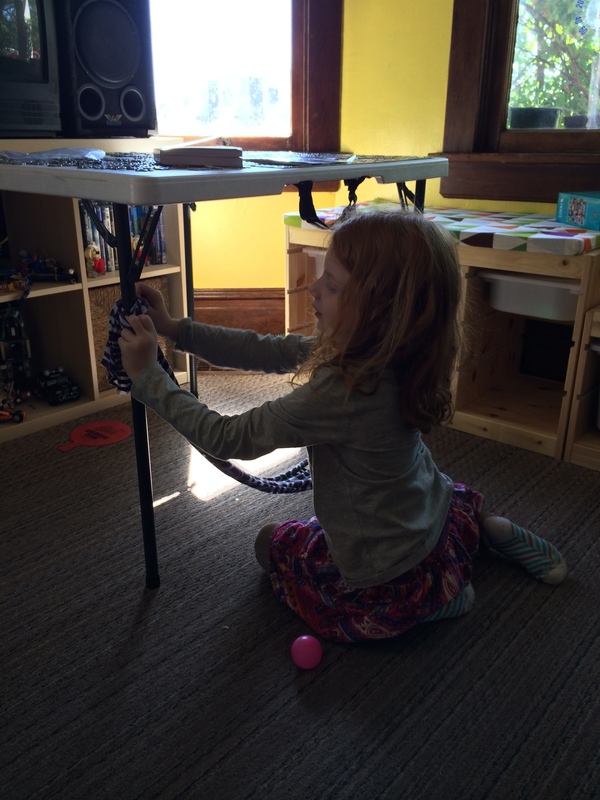 Gavin built robots and Lilah discussed primary colors she was choosing to build with. We baked oatmeal cranberry chocolate chip muffins. They turned on the oven, read the recipe, measured, stirred, set up the pan and even tried our mortar and pestle to grind up some cardamom seeds! 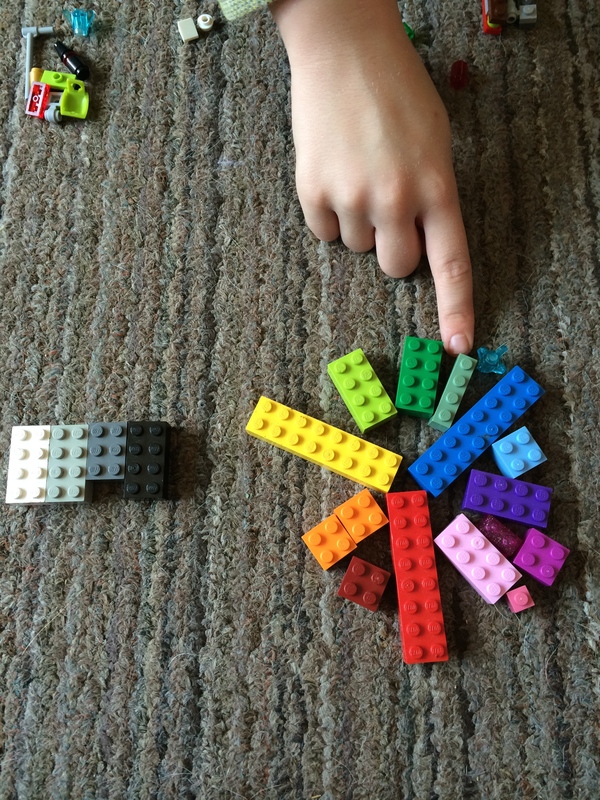 I invited the kids to join me in making a color wheel out of legos. We dug out lots of colored blocks and tried to place them according to where they belong between the primary colors. Gavin chose to make a white/light grey/dark grey/black gradient to accompany our color wheel. Lilah made a hammock out of a scarf tied to the table and rolled a ball inside and then gave her bear a nice place to swing and nap. Then Gavin and I picked up his friend from school and came home to play “LEGOS!” They got out our lego board game Heroica sets and put them all together. Chips and salsa were eaten as bosses were defeated and weapons were earned. Then there was a Magic The Gathering game, followed by an epic tale of stuffed animal surprise attacks and spying. After playtime with Gavin’s friend, we ate and ended our evening with Dad reading some Ranger’s Apprentice by John Flanagan before bed. We’re in the middle of the fourth book now.